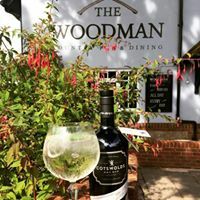 The Woodman is fully refurbished but remains a traditional country pub serving proper pub food all day, every day, with a great selection of wines & real ales. Plenty of nooks & crannies, three real fires exposed oak beams & antiquities add to the atmosphere. We also have our very own function room fully equipped with a bar, stage, projector & toilets. Perfect for private parties, weddings & business meetings. Great that you have a vegan menu but please can you also have non dairy milk for after dinner tea/coffee? The food was great, much better than most pubs we have been to recently. The decor is a lovely mix of old and new. The serving staff were polite but slow. The food took almost 40 mins to arrive but it was delicious. Excellent food and excellent service! Love coming to this restaurant. Had a lovely mother’s day Dinner here and even though it was very busy we didn’t have to wait long for our meals, staff were very attentive. Fabulous mother’s day lunch, staff were very attentive even though it was super busy, food was fabulous, children’s portions are huge!! 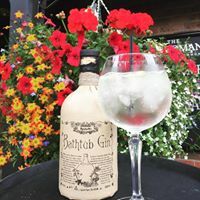 Great value for money and definitely will be recommending to friends and hopefully coming back on a sunnier day to enjoy the lovely outside area. Delicious meal, great atmosphere and really good service! It may have been a bad day but the speed of service was appalling. We where advised when we were sat down that there was going to be a delay. Our expectations would see that as around 30-40 minutes not the hour plus that we experienced. No updates from the team, no checking if we'd like more drinks etc. We were offered bread and olives while we wait but honestly, after an hour wait, would have expected these complimentary. Other tables had to seek staff to take drinks orders as did we to pay the bill. Everyone was polite and the food was good, it just could have been a lot better. Hope you have it together for monsters day this Sunday. 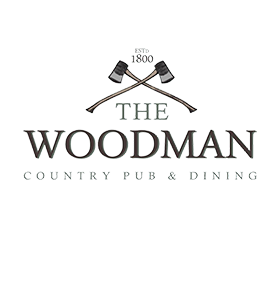 Whenever we go to The Woodman we always have a lovely evening. The staff are always welcoming and very helpful. We visited for Sunday lunch but were disappointed with the quality of the food. When the meal arrived after a 45 minute wait it was lukewarm and some of the vegetables were under-cooked. Parsnips were almost raw. Super meal, friendly staff and a lovely ambience. Delicious steak and kidney pud and fish pie - what more could you ask for! Excellent Sunday lunch and cracking service. Lovely pub came for a family lunch food and service very good we will be back! Superb venue that's very modern with a twist of the old. Very clean environment and superb location. 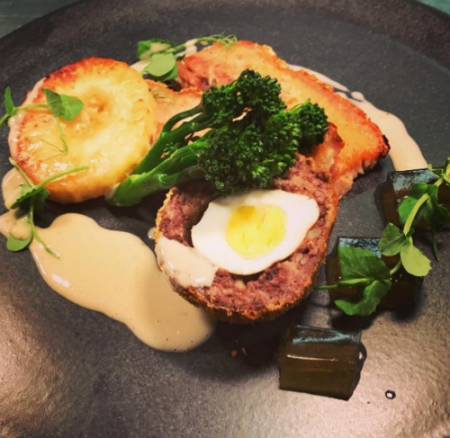 Food is without doubt one of the best pub meals we've had. Service is brilliant and attentive despite the venue being full as we attended the jazz night. Staff are always very happy, friendly and talkative. Highly recommend,  especially the JH Jazz band. Once again our Group  visited The woodman  for The Jazz Evening. The Jazz & Food were excellent, a good evening was had by all. We all will be  there for the next one in April. Very slow service , waiting time about 50 mins ...... very simple food , nothing special for the price! Everything was fantastic, the only thing missing was a fire. The service was particularly good. A family meal for a large party of adults and children. 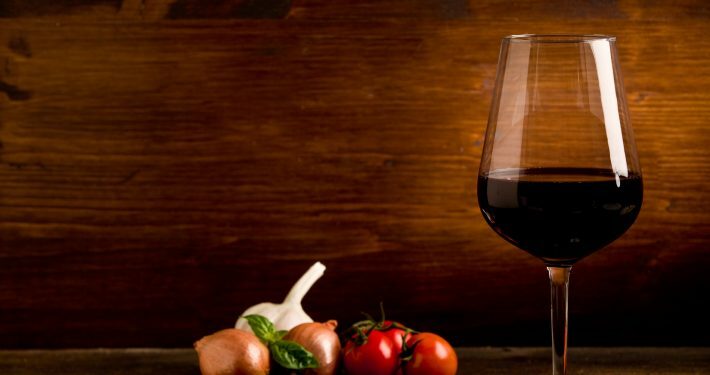 Setting was perfect and food and service were excellent. We had an amazing evening. Brilliant service from chatty and very lovely staff. The food was just lovely and the vegan menu was a real treat. Dog friengly too. Had a party of 11 in New Year’s Day, when we arrived our table was only set for 8, this was quickly changed. We sat down at 2.00, but our food didn’t arrive until 3.30. Our overall thoughts are, you struggle to deal with large parties late afternoon. 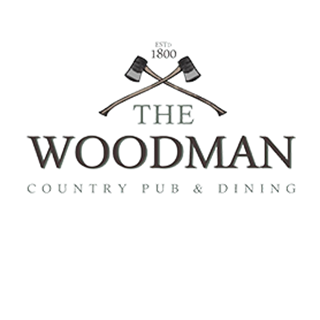 Thank you to the staff at The Woodman, they were all outstanding. We had a lovely afternoon and will be booking again. Thank you again. Nice looking pub with over-priced pub food. Only two beers on tap. We were a party of 7 for Sunday lunch. The meat-eaters were well-served with a choice of roasts (although one of our party thought the beef wasp's') , no Halloumi Bugers left ( we arrived at 2pm) but the Nut-loaf was very poor. Stodgy and tasteless. Vegetarian food has really come on in the last few years - but you wouldnt know from this offering . Nice enough -but very young - waiting staff.